Amoudara is the longest beach in Prefecture Iraklion - Crete Greece. 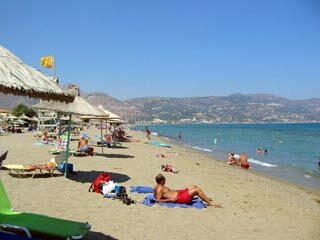 It features a long flat beach, lined with hotels , studios , bars , markets and tavernas . and is within easy reach of the capital city of the island and the largest city. In the middle of the north coast, is also the transport hub with the international airport and the sea port, resulting in that most of tourism traffic arriving in Crete will pass from Iraklion at least twice. The city has a population of 200.000 the fifth largest in Greece.